After most big plays during a football game, whether it be a touchdown, a sack, or an interception, you’ll hear two sounds: the roar or groan of the crowd, and the sound of the band playing a fight song. 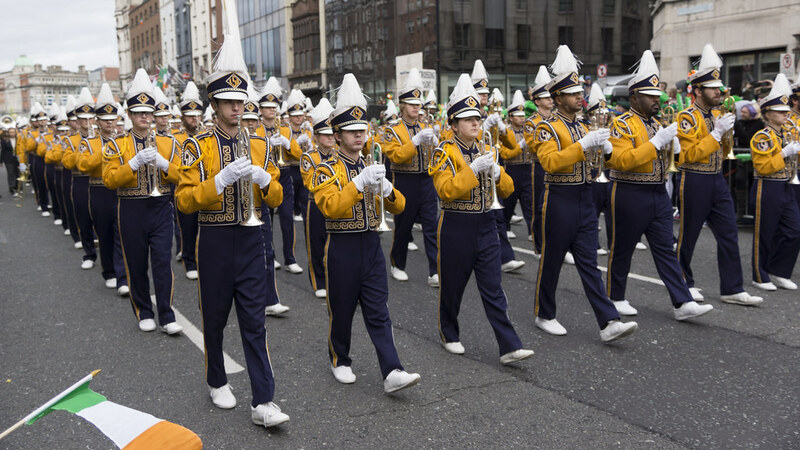 Marching bands mean a great deal to their college teams and the communities around them. Today, we will be going through a list of the top 10 college marching bands around the South. 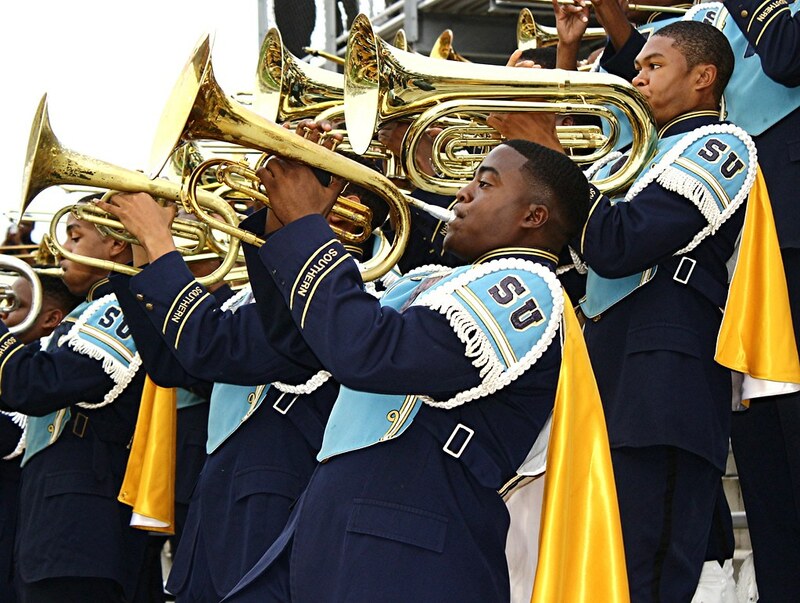 As one of the best marching bands from top to bottom in the entire country, “The Human Jukebox” of Southern University is the real deal. 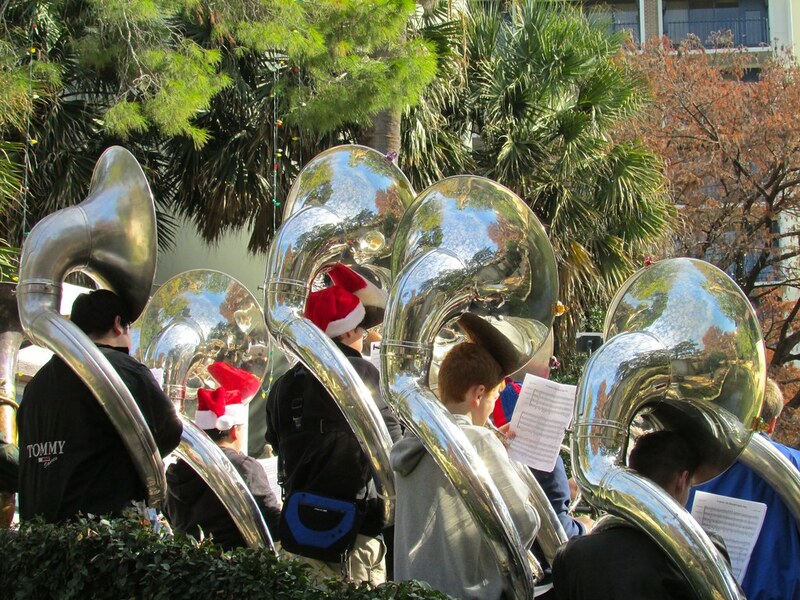 Located in the heart of Baton Rouge, they play some of the most entertaining music you’ll hear at any football game. 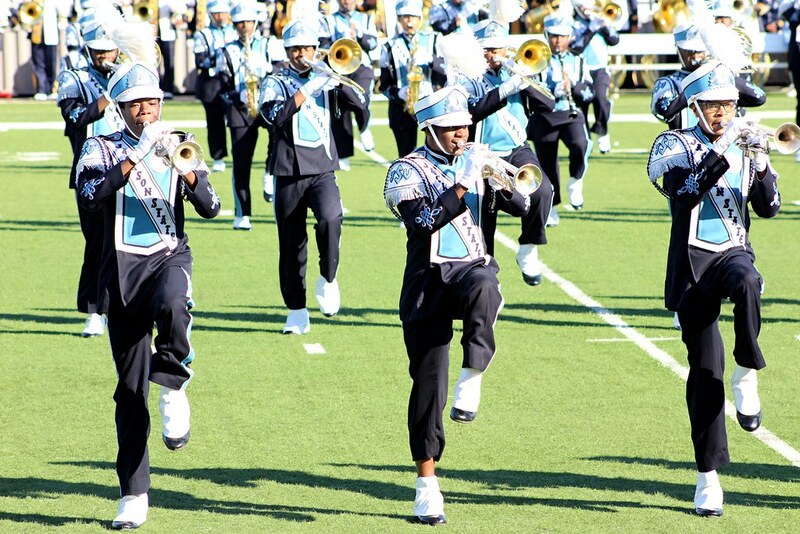 They were even ranked by ESPN’s “The Undefeated” as the best HBCU marching band of 2017. 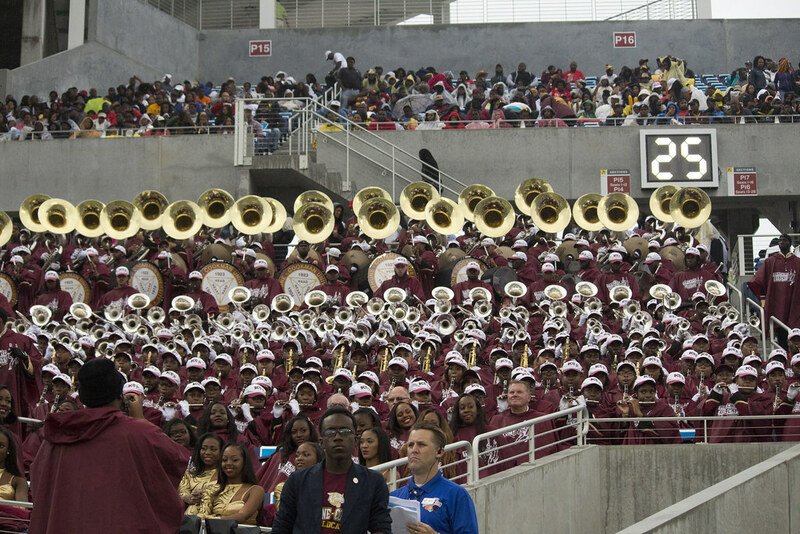 Another fantastic marching band, Bethune-Cookman has also been featured by Netflix. The show is called “Marching Orders,” and it follows the band through auditions, practices, and performances. The series is a cool way to show the culture and personality that HBCU marching bands have that many people don’t get to see. “The Sonic Boom of the South” performs throughout the South at games and competitions with a reputation of being one of the most entertaining marching bands in the country. They have even played for NFL teams like the Atlanta Falcons and New Orleans Saints. 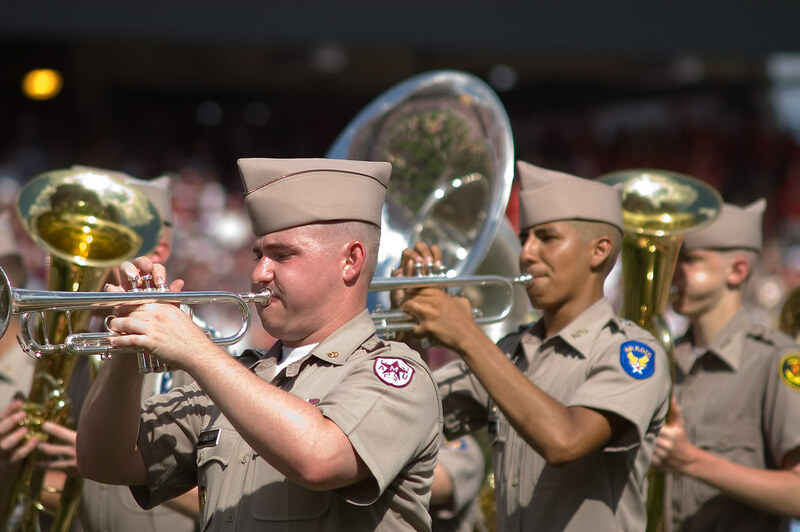 The Texas A&M band is the largest military marching band in the country. With more than 300 members in the band, their precise military marching formations are different, but their sound and tradition of excellence maintains their reputation. The “Marching Southerners” of Jacksonville State will blast you with sound. After a tornado ripped through the Jacksonville State campus in the spring of 2018, the band has been using their music and flare to bring both the community and college together in order to make this year special. Called the “Million Dollar Band”, the sounds and sights of the band have been seen over and over because of the success of the football team. Whether home or away, this band puts everything into their performances. 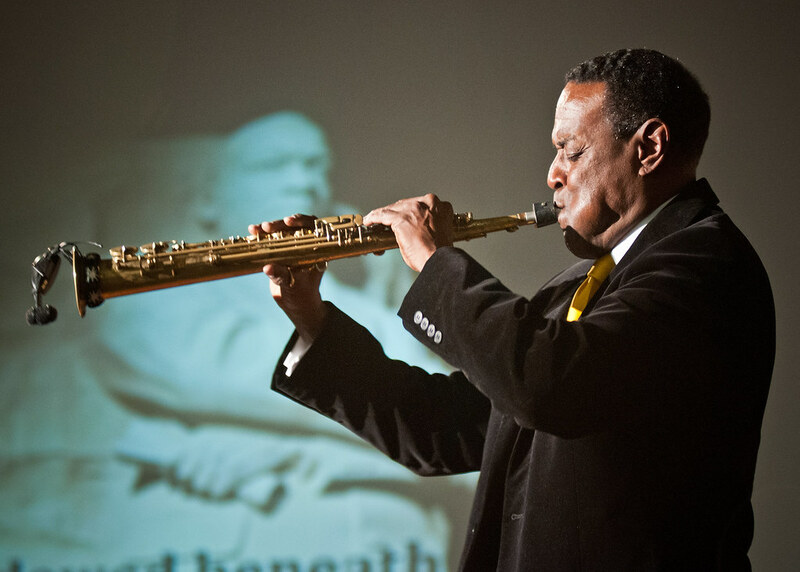 Greensboro, North Carolina is a historic town for culture, and that culture is often celebrated by the band. 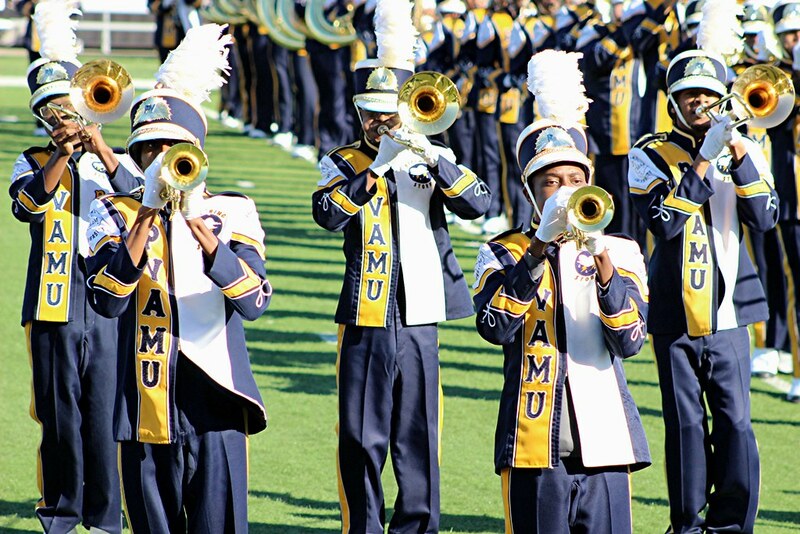 A former #1 marching band of ESPN’s HBCU marching band rankings, A&T knows what it feels like to be on top of the marching band musical world. With their musical talent, they’ll be competing for the crown again. Deep in the heart of Texas, there is a band that can be best described like a race car. They offer powerful, smooth, high octane perfomances, and push the boundaries of what a band can do year in and year out. If you’ve ever been to an LSU football game and start to hear the band play “Neck”, then you’ll know the hype and engagement a marching band can bring to a football stadium. The dancing and jumping during a home game is one of the must-see sights during an SEC football game. With a pre-game warmup in the Grove that fills the campus with spirit, the “Pride of the South” has been performing since 1928. 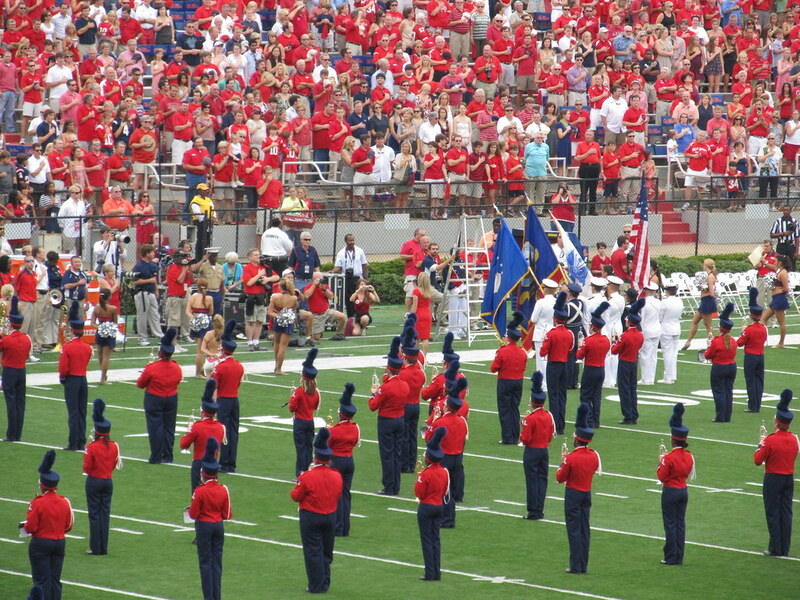 Don’t forget to put watching the Ole Miss band perform live on your bucket list. Catch the local deals with Renasant Rewards Extra this football season.